Nadal just cannot be stopped at the French. PARIS- Roger Federer sensed that Rafael Nadal was tiring in the third set. In fact, he thought that had he managed to push their most hotly contested match at Roland Garros to five sets that he would have won it. 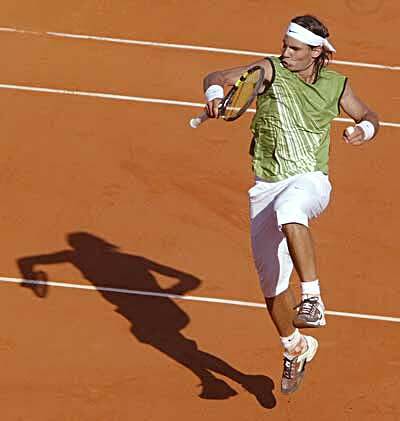 But the great Swiss is nowhere near as competent, driven or as chock full as clay court skills as the Spaniard is, which is why Nadal won his record-tying sixth Roland Garros crown in a 7-5 7-6(3) 5-7 6-1 victory.